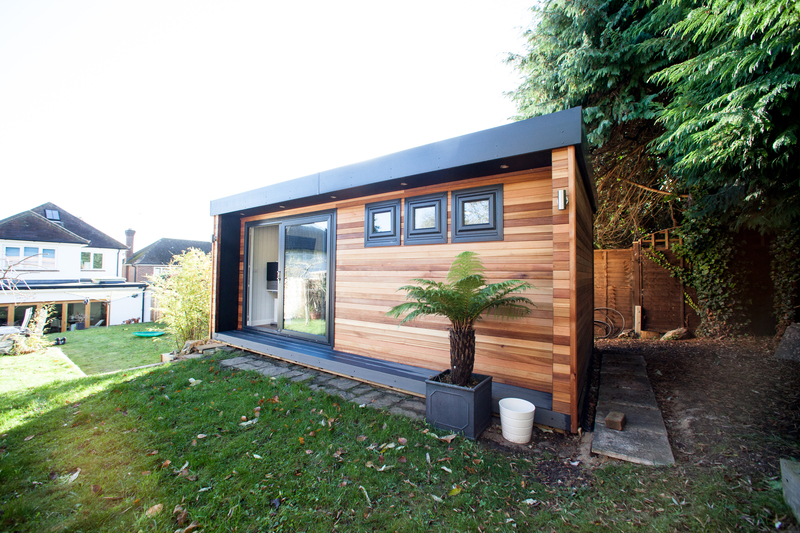 A good quality garden room should last you for many years. The key to achieving this is choosing high quality materials and getting a skilled team to construct it. We have spoken to a number of people who, before approaching us, have purchased cheap flat pack garden rooms and attempted to put them up themselves. This has never ended well. Invariably there are issues with alignment that soon result in leaks, drafts or structural faults – if the garden room stands up at all. This is why we strongly recommend purchasing a garden room from an established, reputable company such as ourselves, where you have full transparency about the construction process and the materials used. Every garden room is bespoke and each property is different, so the exact build process will vary from project to project. However, the following is a good outline of the process we follow when making and constructing a cedar garden room. Let’s assume that we have already created and approved your custom design. The first part of our job is to get the materials together. For our cedar garden rooms, we use sustainably sourced timber from FSC (Forestry Stewardship Council) approved suppliers. This is really important as it guarantees the quality of the wood and makes sure it is grown and harvested in an environmentally sustainable way. Cedar is a great wood because it is extremely durable, looks fantastic and is highly weather resistant. We pay equal attention to the other materials we use. All our doors and windows are high performance, CE marked energy-efficient units, our garden rooms are panelled internally with Neatmatch moisture resistant MDF wall boards, and each building comes with custom measured click lock wooden flooring. During the design and consultation phase we will already have visited your property and created a layout to exactly match the dimensions of your garden, so there is no guesswork. We fabricate the wooden parts of your garden room at our workshop near Nottingham, so we can deliver it to your garden in sections. This saves a lot of time on the installation and means we don’t have to be sawing and cutting parts into shape on site – which could create noise and mess. The base is arguably the most important part a garden room, as it ensures the ground surface is strong and level enough to support the building. Laying a base is equally important as digging proper foundations when constructing a larger building. Failure to install a proper base can lead to all kinds of problems, such as the roof not fitting properly, or window spaces not aligning. Some garden room bases are concrete and others are wooden frames. 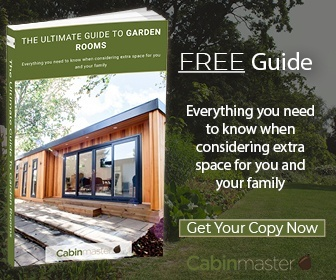 We will advise you about the best choice for your garden room when creating your design. Laying the base is the most time-consuming part of the build but it is time well spent! Once the base is laid, the garden room itself can be built. This starts with the main wall panels, each one being fastened into place with the appropriate tools. The garden room begins to take shape quite quickly at this stage. With the structure in place, your team can start raising the roof. Our roofs are solidly built wooden structures which, like the walls, are fabricated at our workshop and delivered to your property in sections. Each section is light enough for a four man construction team to manoeuvre into place and fasten down without having to employ lifting equipment. With the superstructure complete, the team can install your windows and doors in their designated spaces. These are precisely fitted and sealed so they are fully insulated and weatherproof. The interior elements are the last to be fitted, starting with your inner wall insulation, soft wood flooring and any features you’ve chosen, such as lighting, carpet or kitchen installations. A bespoke garden room has the potential to completely transform the way you use and enjoy your garden – and it needn’t cost you a fortune. 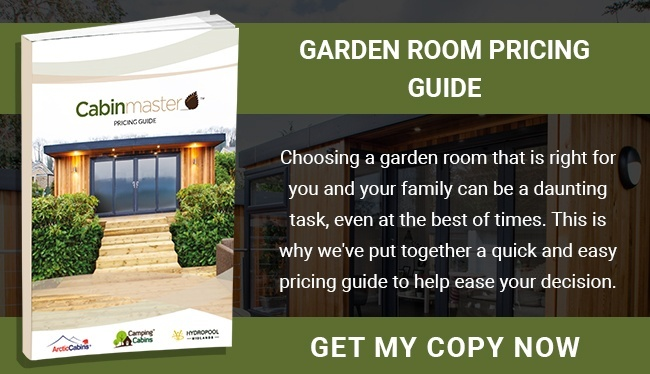 A basic, general purpose garden room, designed to suit the layout of your property, won’t cost you much more than a new car, and there are finance deals available to help spread the cost. 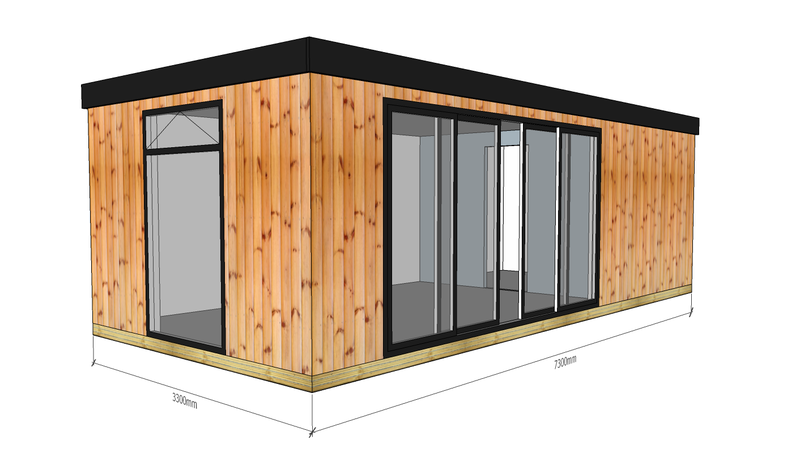 For more information about our garden room designs, please chat one of our designers by calling 0115 932 8888. You can also drop by our show site at Stapleford at any time, where you can see full scale examples of different types of garden building with design for other customers. We hope to see you soon!